This is the second album by Sven Schienhammer aka Quantec on Echocord. After releasing several 12” on labels like Styrax leaves, Meanwhile, Snapshot and Echocord Sven is back with another fulllenght album. This album contains older tracks from the year 2001 and some of his newer works from 2009. On this album you will hear many of Sven's personal favourite tracks and Echocord are really proud to release it. Its not really the typical Quantec sound, its absolutely different to his last album on Echocord, some of the tracks with vocals, but you can still hear the quality Quantec sound. 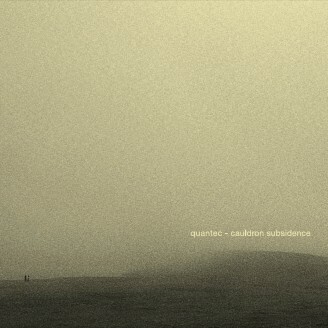 Brooding dub techno laced with the remnants of dubstep permeate the album. A true accomplishment for one of today's most accomplished electronic dub producers out there.